“Come on…..’old girl! '” Harry [to Sarah-Jane] Ark In Space – 1974. Bumbling uppercrust UNIT medical officer. Harry Sullivan (Ian Marter) was an Army Medical Doctor who was working with UNIT during the events of Robot – 1974, when he met and cared for the newly regenerated Fourth Doctor and also met companion; Sarah-Jane Smith. The character was introduced as the “action” element counterpoint to an older new Doctor but when the part went to Tom Baker – (the then youngest Doctor cast) – Harry was surplus to requirements. However, Harry was a likeable and able foil to the Fourth Doctor and Sarah-Jane and should of stayed in the show much longer than he did. Harry was an uppercrust, do-derring, stiff upperlipped Englishman and he was particularly fond of Sarah-Jane, who he referred to as – “old girl”. 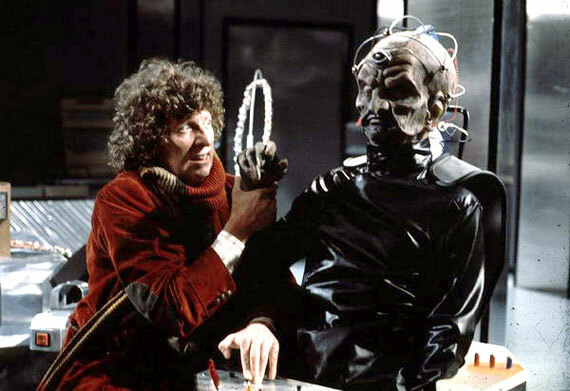 Whilst the Fourth Doctor sometimes referred to Harry as “an imbecile!”. This was due to Harry being a bit of a clumsy oaf. Sometimes accidentally getting the trio in danger, such as in The Ark In Space – 1975 when he accidentally switched on a robotic self defence guard on Space Station Nerva. Harry’s reward for being clumsy, was to lose his shoes as the Doctor used them to distract the guard whilst he turned it off and they were vapourised. In Robot – 1974, a mad scientist had created an artificially intelligent Robot which became self aware and 100-foot tall and went on the rampage and Harry helped the Doctor and UNIT stop it. In reward, the Doctor took Harry on a trip to the moon and back but Harry being clumsy, accidentally sent the Tardis a millennia into the future in The Ark in Space – 1974 . The human race were in hibernation on Spacestation Nerva, whilst the Earth recovered from solar bombardment. Harry not only had to contend with the reality of time-travel – but also alien life; as he met and fought against the horrific insect Wirrn – who were eating and impregnating the human survivors. Harry then met the Doctor’s biggest enemies – The Daleks in Genesis Of The Daleks – 1975, The Sontaran’s in The Sontaran Experiment – 1975 and the Cybermen in Revenge Of The Cybermen – 1975. Harry made it back to Earth in another UNIT adventure – Terror Of The Zygon’s – 1975. This serial was notable as Harry was captured and duplicated by a Zygon. Harry duplicate then terrorised Sarah-Jane in a barn, before it fell to its death from the roofspace – whilst lunging at Sarah-Jane with a pitchfork. He was back again in the Android Invasion – 1976, having been duplicated again by androids intent on invading Earth. Once the threat was defeated. The real Harry decided to stay on Earth, having had enough excitement with the Doctor and Sarah-Jane – to last a lifetime. Harry didn’t appear again but he was an interesting and unfortunately underused character.